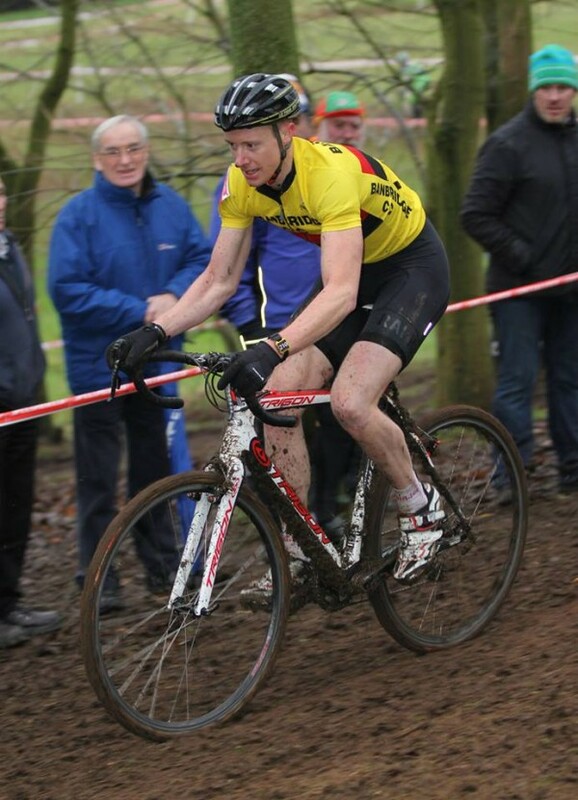 Roger Aiken has come out on top in the anticipated duel between himself and arch rival Robin Seymour, with the Banbridge CC man emerging victorious from the elite men’s race at the National Cyclocross Championships in mud Belfast this afternoon. As predicted, it was Team WORC rider Seymour who ran last year’s winner closest, but even the rider with the best palmares in the history of Irish off road racing could not tame the champion. He trailed home around 1:45 adrift of the winner, though at the time of writing that time gap is provisional and subject to change. It was a repeat of the 1-2 from last year’s title race in Dundalk, Co Louth, when Aiken took the title from 2012 champion Seymour. In the race from bronze, it was the in-form Glenn Kinning of East Antrim Audi who won the battle for a clutch of around 10 fancied riders who have been snapping at the rear wheels of the dominant Aiken and Seymour in the Ulster and Leinster leagues in recent months. Many had fancied last week’s winner at the final round of the Fixx Coffeehouse Supercross Cup in Dublin Ray O’Shaughnessy to run the two fancied riders closest. But Kinning has be in great form of late and has grabbed a number of podium spots and will be delighted to take home an elite national championship medal from the Phoenix CC-run race today. We have more to come from stickybottle’s Ger Cromwell in Belfast so please keep come back for full results, reports and reaction. The cyclists’ travel agent, Neenan Travel are still taking bookings for the World Cyclo Cross Championships in Hoogerheide, Netherlands, January 31st- Feb 3rd, for what sounds like a great weekend away. Places are limited at this stage.